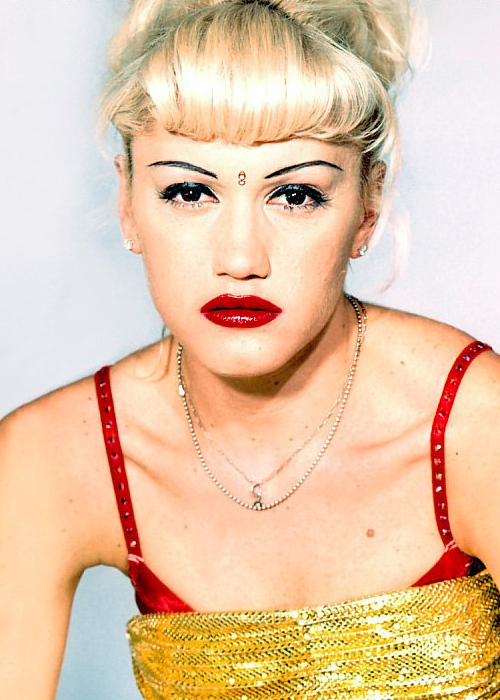 Is it me or has Gwen Stefani become even more beautiful over the years? She's such a rock goddess and fashion icon thanks to her slew of hits and her amazing L.A.M.B. clothing and accessories line. No one knows how to rock red lipstick better than this hot momma (I'm pretty sure she was born with it on) and lately Gwen's been looking even more head-to-toe hot. I wonder if Gwen's partnership with L'Oreal has anything to do with it!? As the new face of L'Oreal Paris, she's been rocking even more high drama hair and makeup and looking like a total movie star in the process. To get Gwen's look invest in some of her brand's latest treasures. 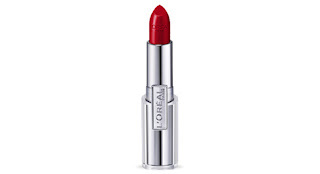 If you really want to emulate the singer you're gonna have to pack on some punchy red lipstick. Stefani has been owning the look since back in the day when she, of course, paired it with belly shirts and Indian bindi tikas on her forehead. The bare abs and forehead jewelry has long gone but the lips remain her signature. She wears red lipstick like its a tube of chapstick and I love her for it. You know who else loves her for it? Her total hottie husband and my total rockstar crush Gavin Rossdale. Could this couple be any hotter!? Only Gwen can truly pull off red lips in a track outfit and sneakers but I'm willing to give it a shot if that's what makes Gavin happy! In fact, in Gwen (and Gavin's honor) I've been wearing L'Oreal Paris Infallible Le Rouge in Ravishing Red lately and am in love with the bold hue. 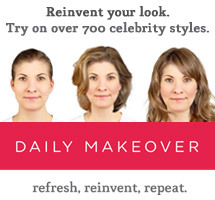 Ravishing Red is the color she's been wearing in her stunning commercials. All of the gorgeous reds in this collection ooze Old Hollywood Glamour and are long-lasting and creamy. I did, however, look ridiculous when I tried rocking the classic red shade with my grimy gym outfit. Not hot! The No Doubt singer also has an amazing complexion. 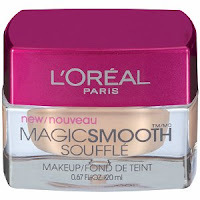 To get your own flawless face try L'Oreal Paris Studio Secrets Professional Magic Souffle. 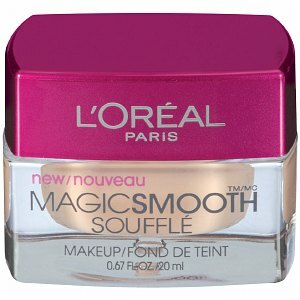 The air whipped formula feels light and creamy on and gives you a smooth complexion. The formula is made with microscopic air bubbles that create a light, airy base, which is perfect in the humid, summer weather. I'm also kinda obsessed with the super smoky eyes she's been wearing lately, a departure from her usual red lips and simple black cat eyes. As evidence by the shots of her on the red carpet at the Cannes Film Festival this year, it's definitely a look that's working! Her dramatic makeup is accentuated by her long, gorgeous lashes. To get your own false eyelash look try L'Oreal Paris Voluminous Million Lashes Mascara. It has an awesome brush that combines long and short bristles to perfectly define each lash.